The idea for this blog came as I was putting together a books for my daughter, Kate and son, Tyler. The books were to inform them about the potter, John Bennett (1840-1907). 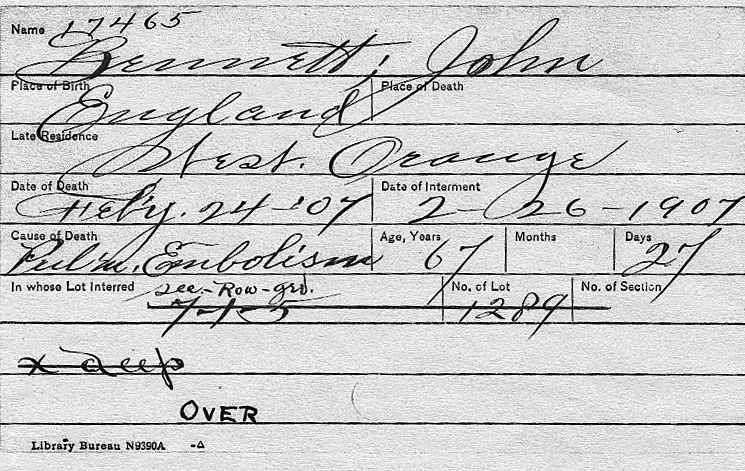 The obsession about John Bennett came to me from my grandmother, Marguerite Bennett Kelley. 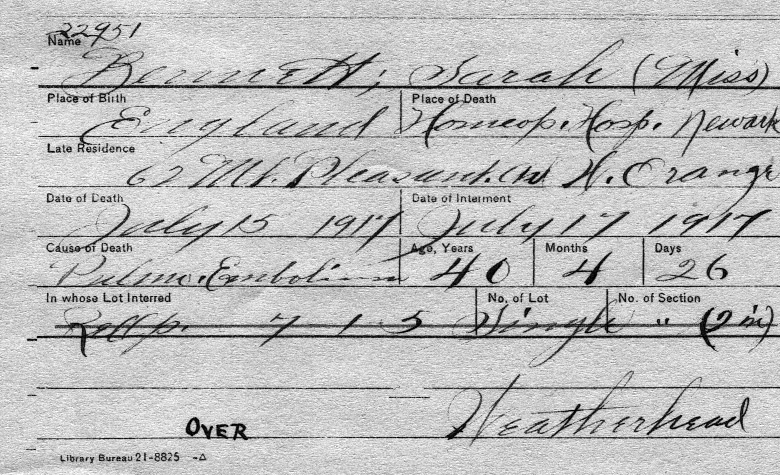 She was the granddaughter of John Bennett. 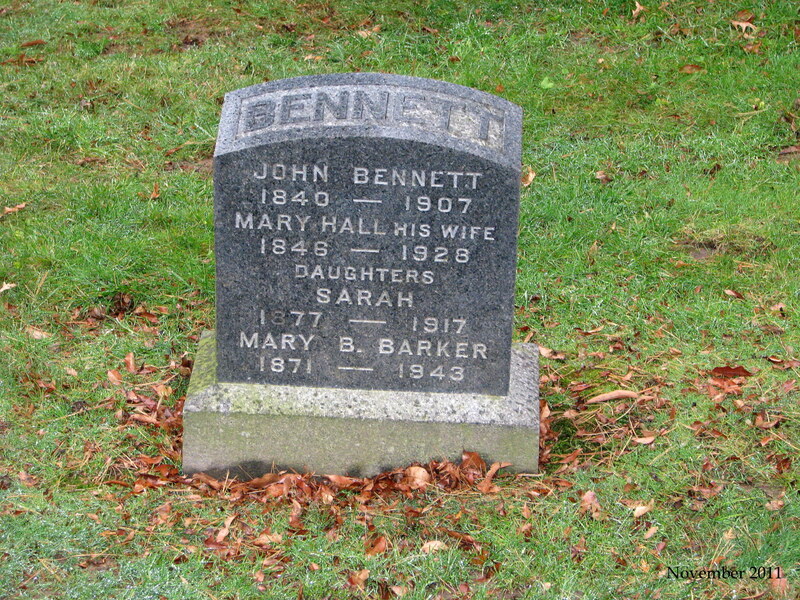 That would make John Bennett the great-great-great-grandfather to my children. Marguerite was the daughter of Harold Bennett, the son of John Bennett. The information I wanted them to know was John Bennett place in the world of pottery and how he was instrumental in the Arts and Crafts movement in the late 1800’s and early 1900’s. In researching John Bennett, my quest has taken me to many museums and auction houses throughout the country. I plan to list links to all of the museums that have John Bennett in their collections. Hopefully you will plan to visit these museums when visiting those cities. 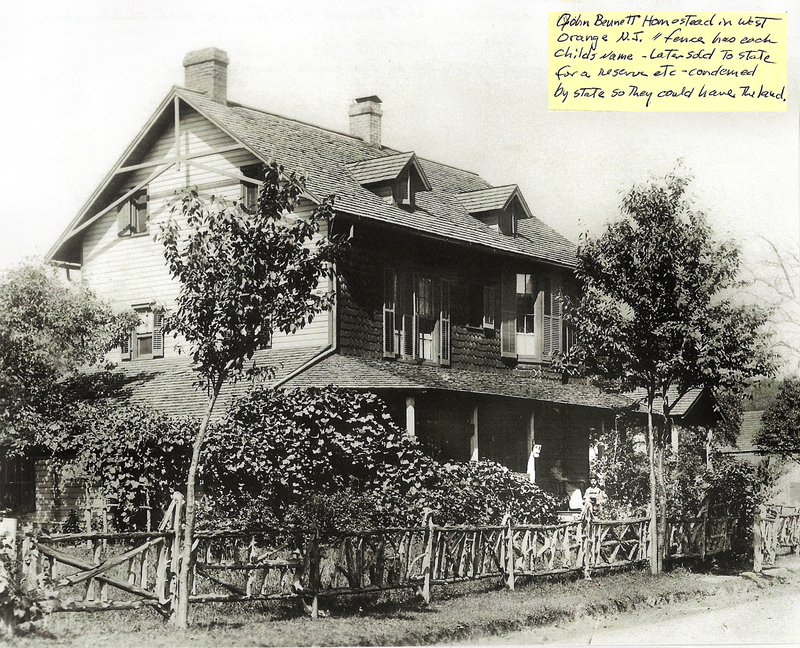 John Bennett (1840-1907) and the family homestead. I would like to thank Chuck and Carol (Bennett) Hinds for sending me these photos. Burslem, Staffordshire, is the area where the Bennett’s lived. Burslem was perhaps the area with the highest recognition for pottery in the world. According to census records the Bennett’s lived within blocks of the Doulton factory. In 1882, Doulton bought out a small company in Burslem, on Nile St, by the name of Pinder & Bourne. Pinder & Bourne was in business from 1862-1882, but I suspect they had been working with Doulton before 1882. Doulton on Nile St became Doulton’s major place in the 1950’s. You can view the area with Google Street view – it’s now a bunch of derelict buildings. It shows the approximate locations of the Bennetts in 1841, 1851, 1861 (Pitt St) and John Bennett in 1871 (Commercial St). The Royal Doulton factory is on Nile St. JBs brother, Enoch lived a little further South on Waterloo Rd. 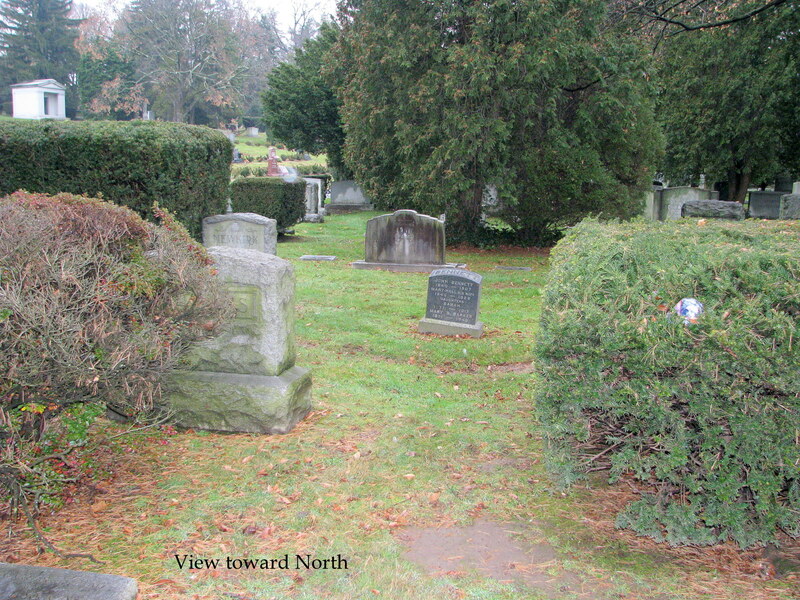 Sincere thanks to the individual that sent me these cemetery pictures and the census records.. 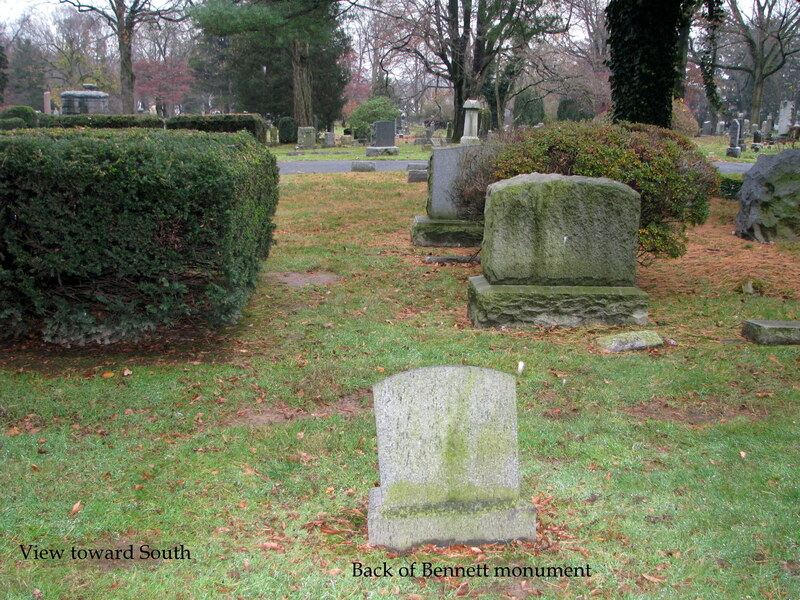 This is a large old cemetery with borders in Orange & Montclair. 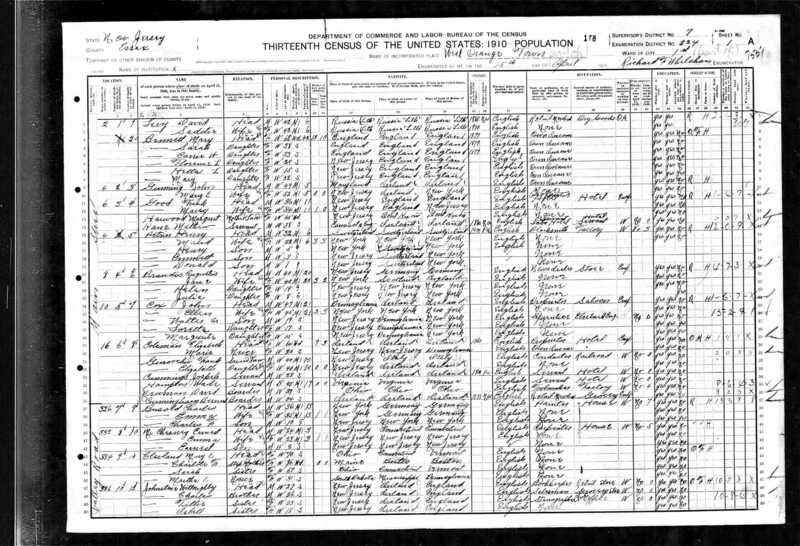 The 1910 census has Harry & William Bennett living together on Watchung Ave, Montclair, an adjacent community to West Orange. I think the picture of their carriage repair shop is in Montclair. 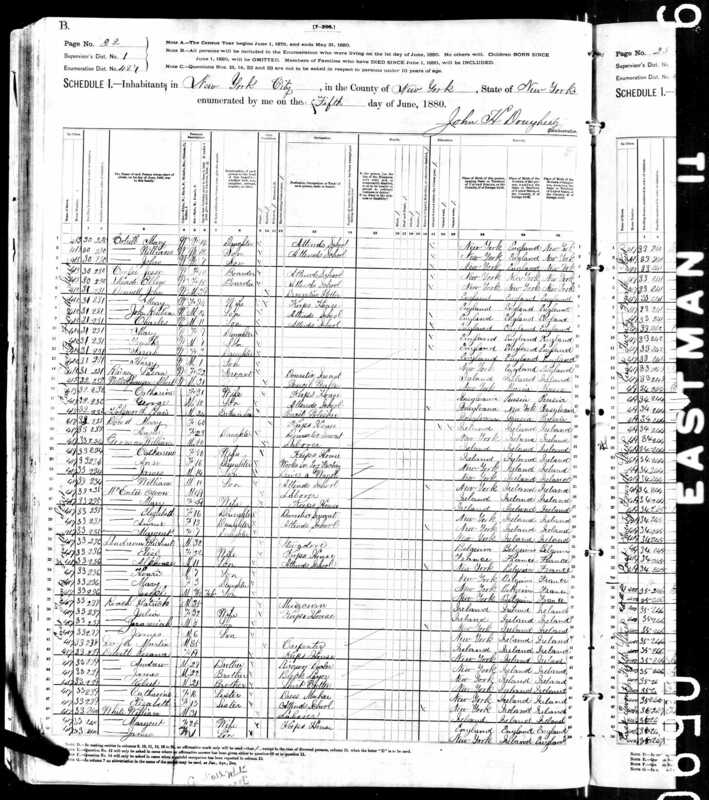 Has John Bennett’s wife Mary living with his daughter Mary. This record has Grace as the mother to Marguerite, Harold and Ethel Bennett. Marguerite Bennett (my grandmother) told me this was the mother that raised her and that she loved her very much. 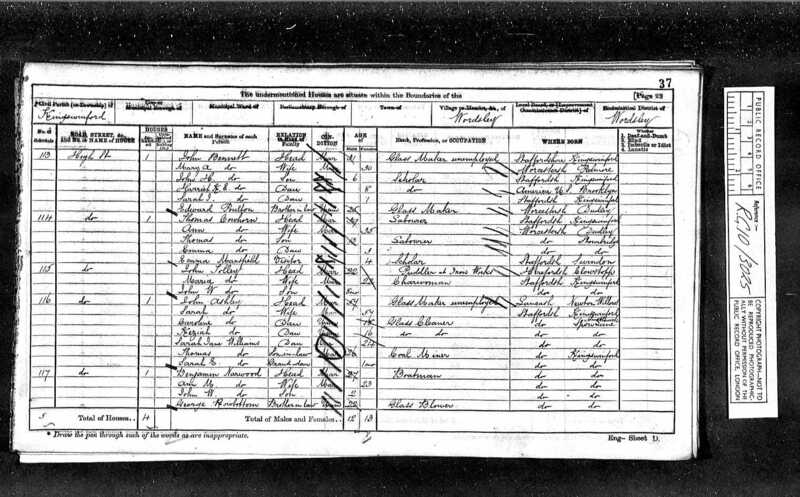 The mother that gave birth to her was Harriet Elizabeth (Freeman) Bennett. She would use the words “birth mother” and “mother that raised her” so that we would know which one she was talking about. Harriet, also the birth mother to Harold died when Marguerite was 3 years old. After Harry married Grace, they had Ethel. 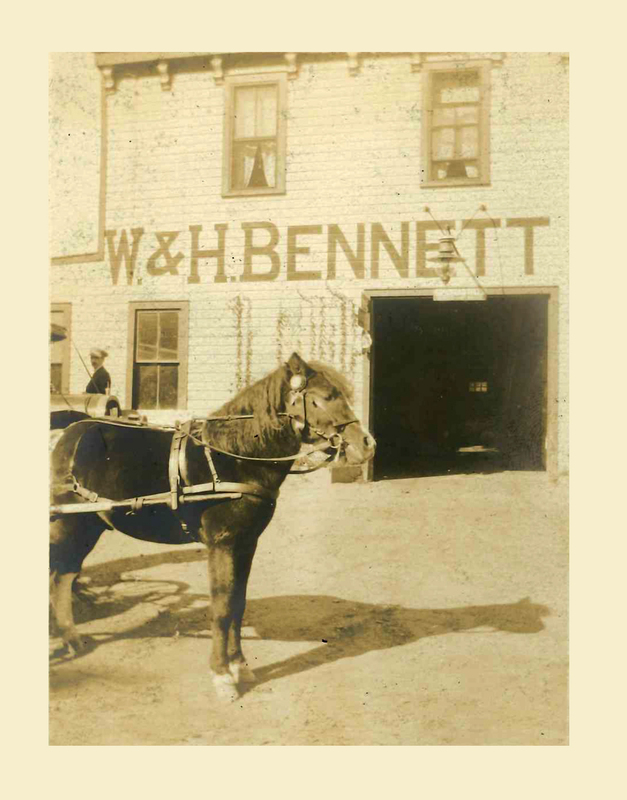 W&H Bennett. Originally a carriage repair business which evolved into an automobile repair business. 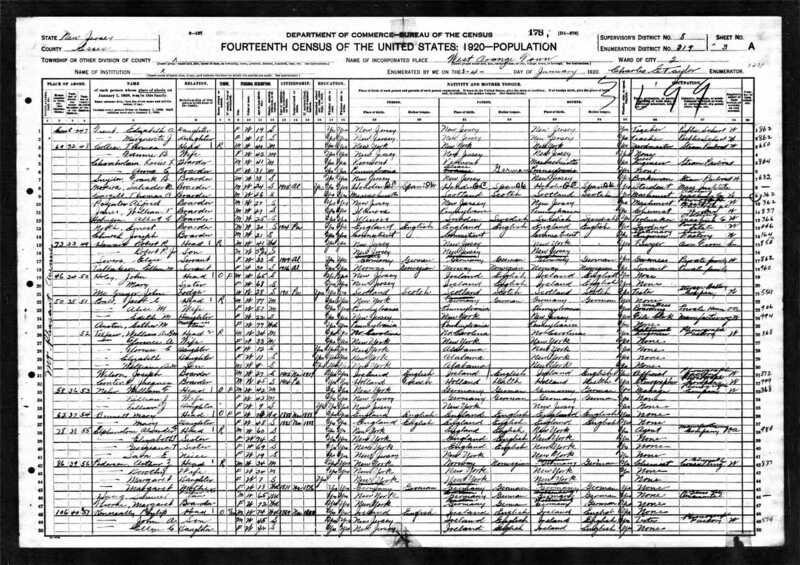 Brothers William and Harry Bennett were partners. 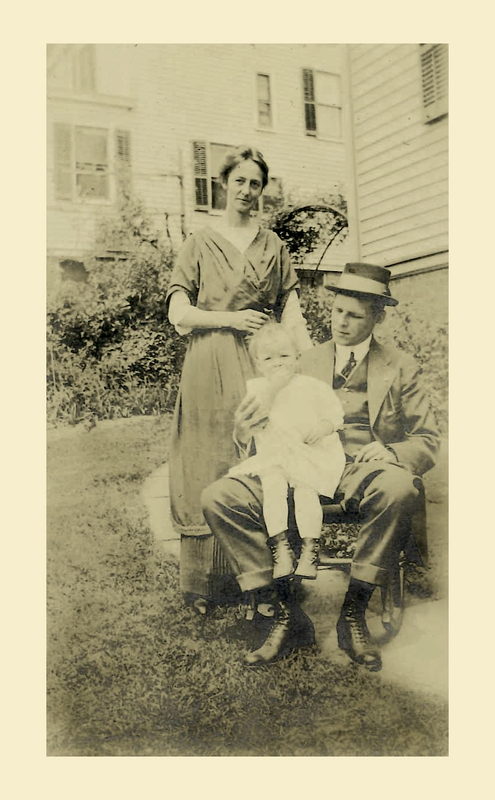 John Bennett’s son, Harry with daughter Marguerite and wife Harriet (Freeman) Bennett. Harry Bennett’s wife, Harriet and daughter, Marguerite. Marguerite also had a brother, Harold. When Marguerite is about 3 her mother dies. 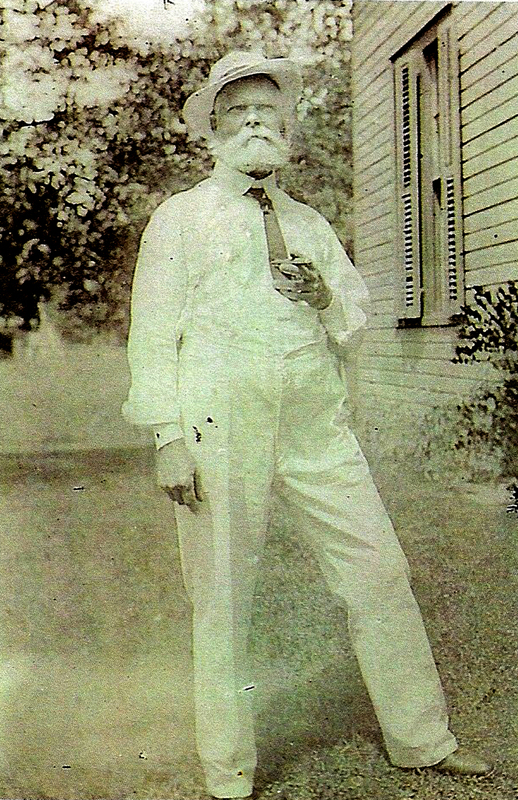 Her father Harry after a time marries Grace Eastwood. 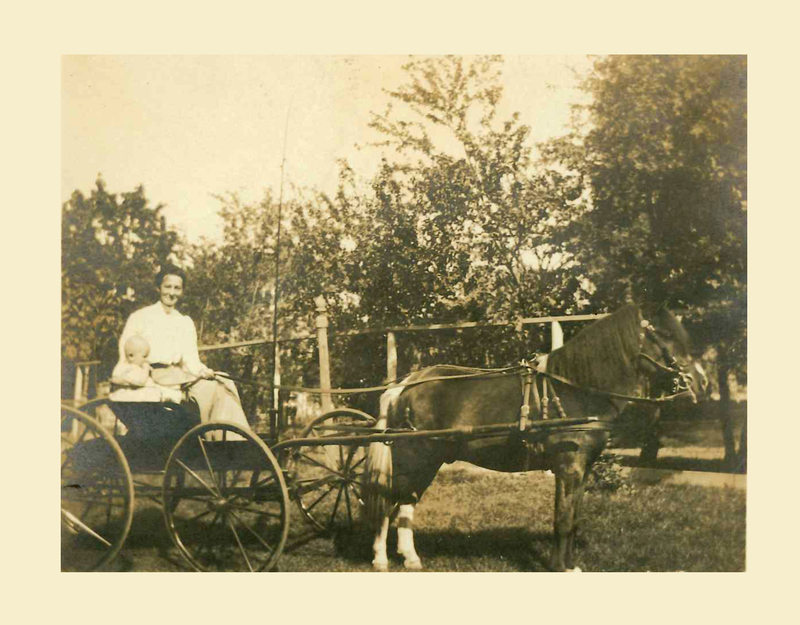 Grace raises Marguerite and Harold and provided them with a sister, Ethel Bennett. 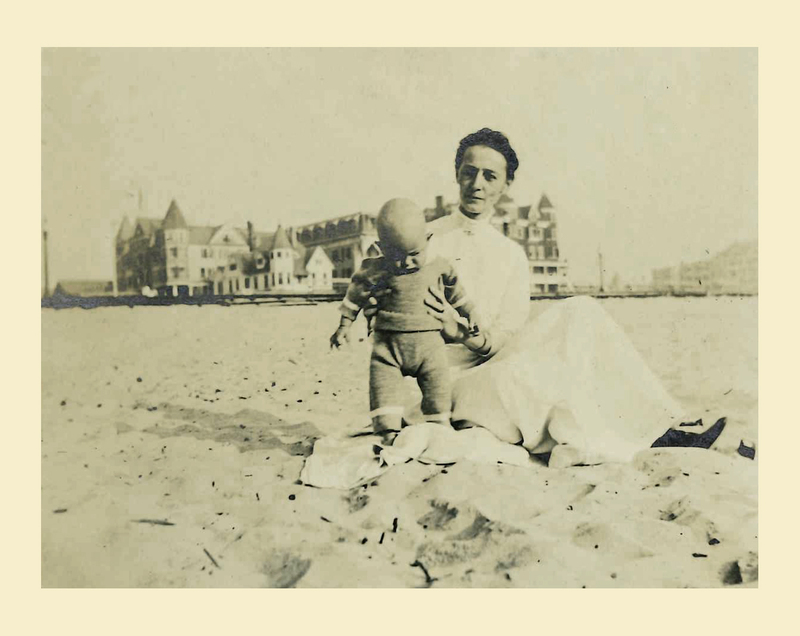 Harry Bennett’s wife, Harriet (Freeman) Bennett and daughter Marguerite. 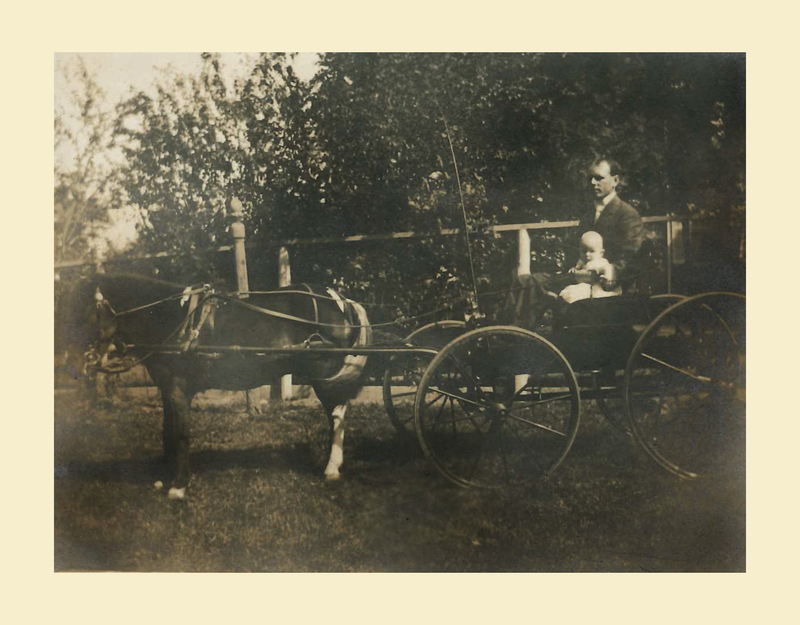 Aunt Carrie (Bennett) Scott with Marguerite, John Bennett’s grandaughter. Have recently become enamored with John Bennett pottery, after seeing the bird vase on antiques road show. I was so bummed when I saw that it had recently been auctioned. I would have paid more for it that what it sold for! I have been in contact with Rago Arts and I’m looking forward to their next auction in February of 2012. I don’t know if there will be any Bennett pieces in that auction, but I hope so. I’m seriously wanting to add a piece to our collection. Your blog is wonderful and I’ve enjoyed learning more about John Bennett and his family and his history, His painting and vases are extraordinary. I recently discovered that I have John Bennett vase that has been in my family for years – perhaps a wedding gift to my grandparents in 1903. 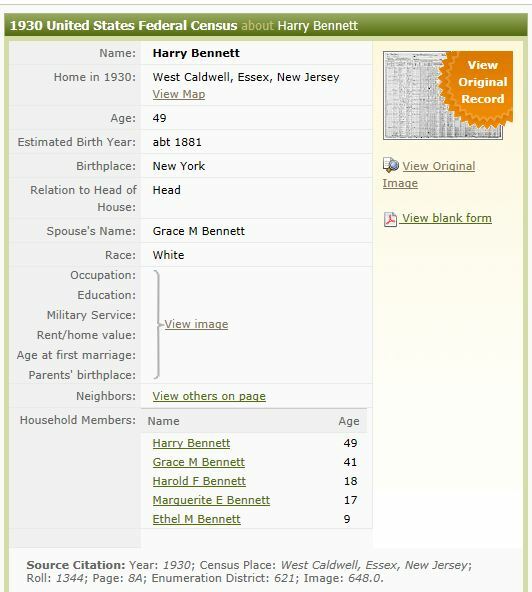 Since my parents and grandparents lived in Orange, NJ, I was intrigued to find out that Bennett had lived/worked in West Orange, NJ. 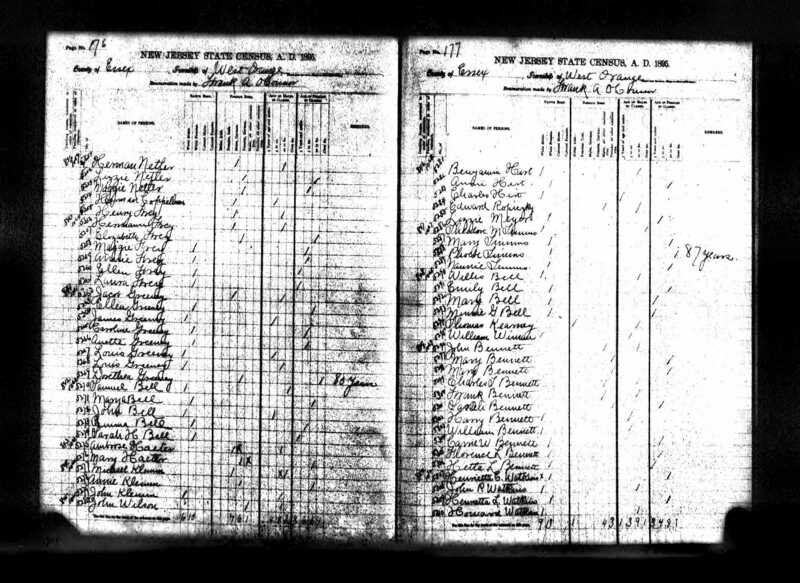 Since I am familiar with that area, I was trying to figure out where the Bennett homestead was in West Orange. Would it be in Llewellyn Park? – also the residential area for Thomas Edison. If I get more information regarding homestead and park, I will post it. If you could take a picture of your vase, I would love to see it and post it on the site for others to see. 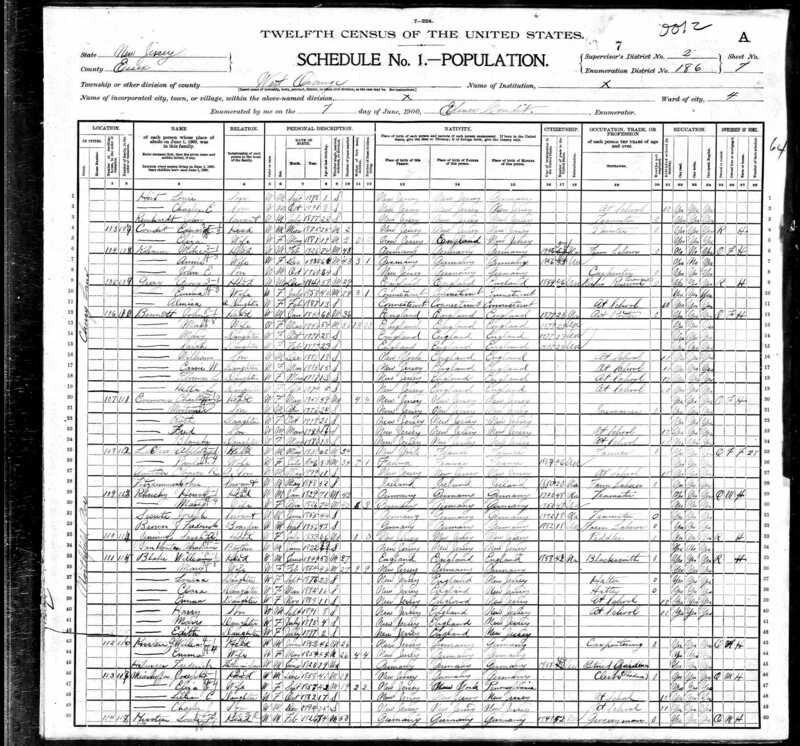 Perhaps a family member will see this and offer more information regarding the location of the homestead and park. I’m sure your vase is important to you as it belonged to your grandparents. My vases came to me from my grandparents and I think of them every time I see the vases. Please email it to robert@graphics.pro. Thank you for the information and map, Rolfe. Hi, I am an antique dealer, a ceramics specialist, and I just wanted to share with you that I have had over the 20 plus years I’ve been in business two Bennett pieces. The first sold to a private collector about ten years ago, it was a lovely blue/green inky piece, if I can get your email address, I’ll email a photo of it to you. It had an original sticker for a prize it won in a New York State fair. Also had an East 24th Street and Lexington address? – I can’t quite recall the signature but I’ve got the notes in my salesbook. 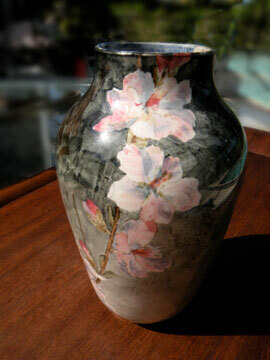 The second piece is a vase I still have for sale, painted with white magnolia on a ruddy red mottled ground. The vase is decorated with distinctive tube lining around the flowers on an Ivory Ware vase. Ivory Ware was made in NJ. Again, happy to send photos if you would like to share with the JB fan base. My website is being built as we speak, so while I have the URL, the site isn’t functional yet. I would be great if you could send images of the vase you sold and the vase you have for sale. I can receive emails at robertsartdepartment@gmail.com and robert@graphics.pro. I just acquired two dark blue vases 8″ high. 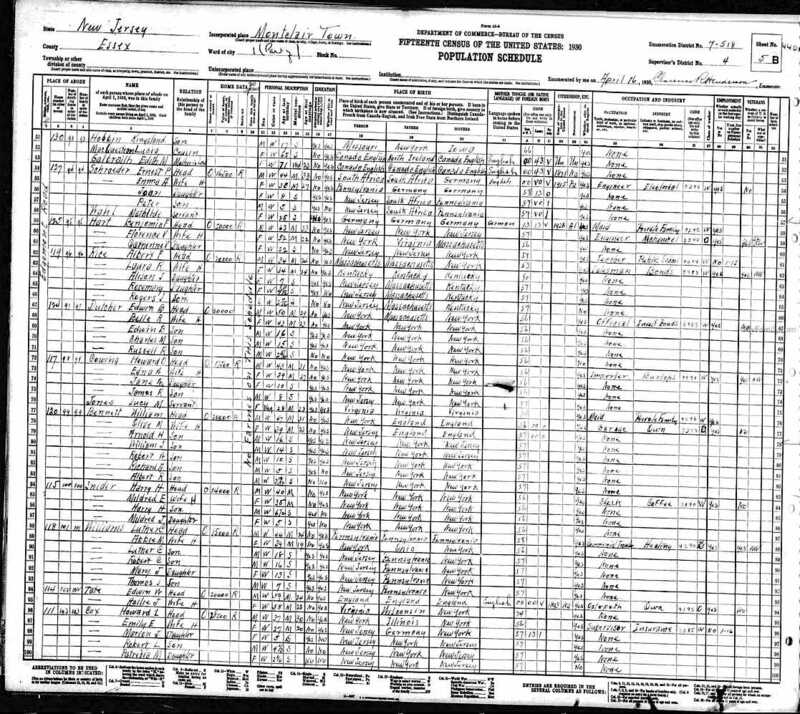 Which I think are definately Bennett but unsigned. Dark blue mottled background with black outlined flowers and a butterfly . One is damaged. The vases are hand thrown, and the base material is cream colored . I love them , and want to keep them. Have you come across pieces that were unsigned ? Hi Chris, congratulations on your vases. I don’t know if they’re Bennett’s or Bennett’s style. Send some pictures. I would enjoy seeing them. Look carefully in the artwork details. He liked to initial some of his pieces. On a couple of my tiles, he just signs the “JB” and year. He put his address on the back. I found the conjoined JB in the flower’s stem. I’ve also seen in a leaf on another piece. ou can send pics to robert@graphics.pro. I am a Ceramics Instructor in Los Angeles for the past 40 years but grew up in West Orange, N.J.! I’ve long admired John Bennett’s work frequently have my students doing reproductions of his stunning and intricate glaze designs. 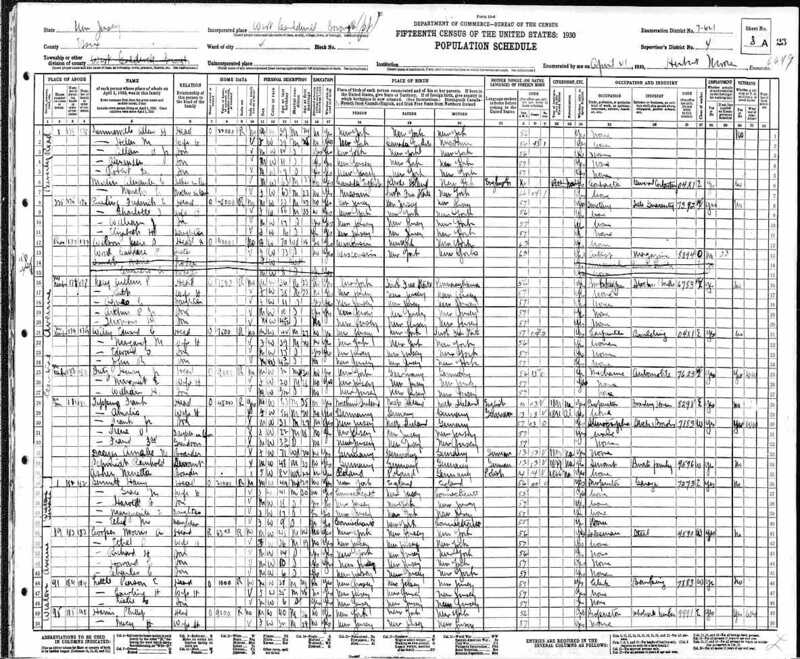 I am also very familiar with the South Mountain Reservation area where he lived, as my family had a home off of Northfield Ave. and I know the area very well. 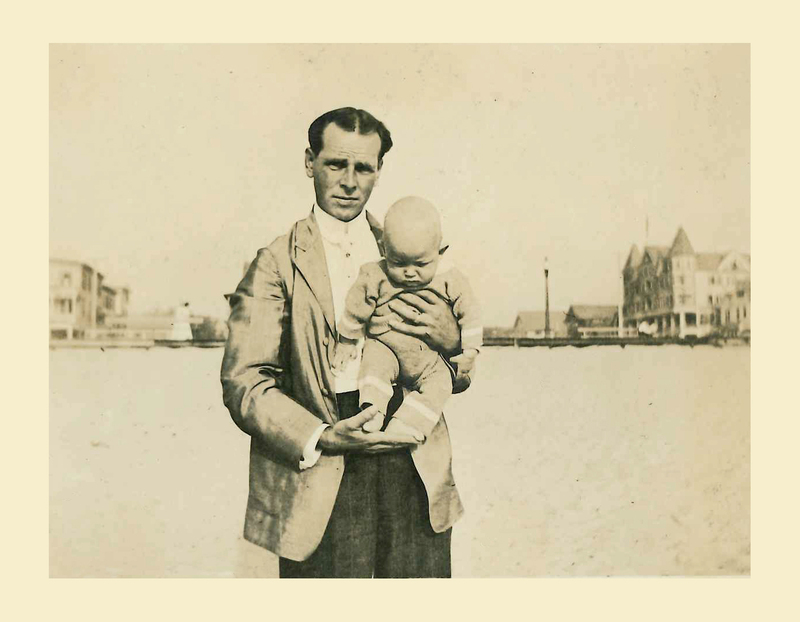 The beach photos look like they might have been taken in Asbury Park, or Deal, both childhood favorites of mine. 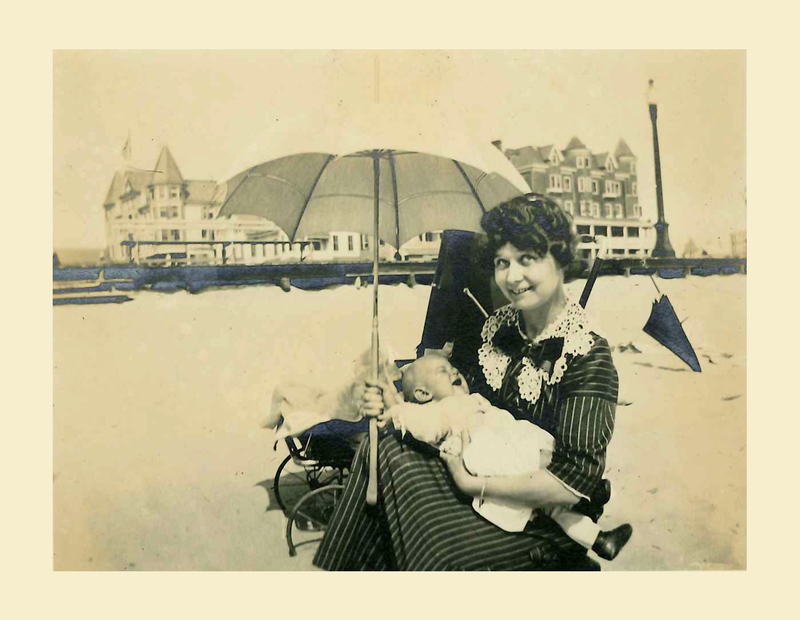 My grandmother had a home on the Jersey Shore, which I visited every summer. Thanks for your fascinating ceramic detective work! Thank you for your note. I know the LA County Museum of Art has a beautiful charger in their collection by John Bennett. 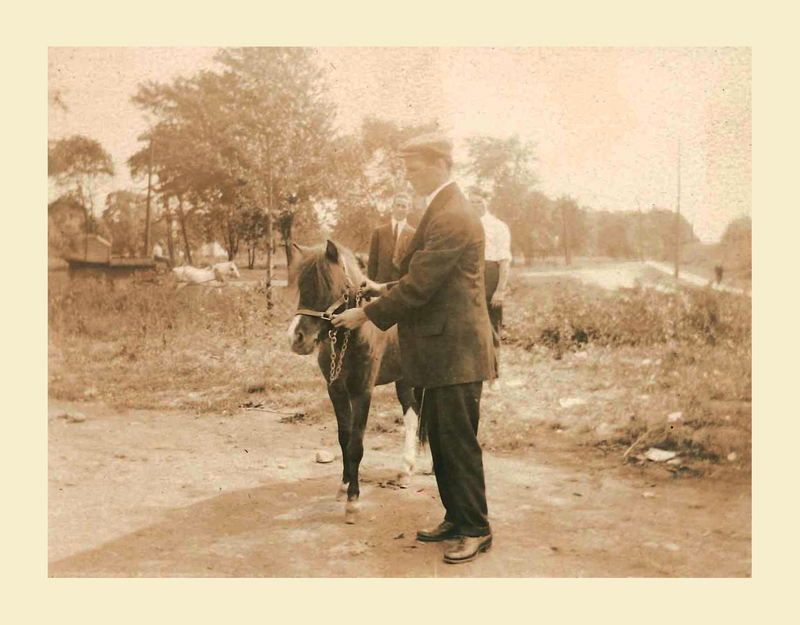 My father told me stories about South Mountain Reservation. He said it was beautiful and that he fed the deer there when he was a boy. If you take a picture of your class or a piece of work I will post it on the blog with a description (a shot, even with your phone is fine). You may have a future “John Bennett” in your class and all artists deserve encouragement. I have a piece of bennets pottery that was left to me by my grandmother. It’s 16″ tall and 7″ wide. I am just beginning my quest to sell to the right person. If interested please contact me @ 732-619-6611. I have not contacted any of the auction houses as of yet. My name is Chris. I can arrange to send you pics. Thank you. Congratulations on your piece. If you want to look at a range of prices for past auction results, look at http://www.ragoarts.com. If you type in John Bennett in the top of their page you can check on current and past auction results. I have not spoken to them before but if I were going to sell a Bennett, that’s where I would sell it. They are knowledgeable and have a huge following. Perhaps a follower will see this post and give you a call. If you do list the piece with an auction house, let me know and I will promote it. We are always glad to get pictures of John Bennett pottery. Happy Holidays and I hope your Bennett piece will be the beginning of a prosperous new year. If anyone is interested, give Chris a call at 732-619-6611.